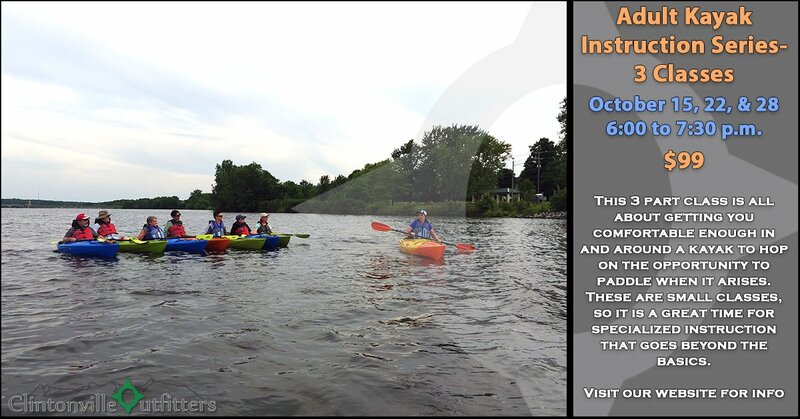 This class is all about getting you comfortable enough in and around a kayak to hop on the opportunity to paddle when it arises. These are small classes, no more than 8 students, so it is a great time for specialized instruction that goes beyond the basics. Need a ride? We can transport you in our 12 passenger Adventure Van!